Since 2012, Rock the Earth has worked closely with our friends in The Wilderness Society (TWS) to protect some of Colorado’s most iconic places. Whether it was rallying thousands of music fans to successfully protect Browns Canyon (now Browns Canyon National Monument) or watersheds like Hermosa Creek (now the Hermosa Creek Wilderness and Watershed Protection Area), Rock the Earth has enjoyed assisting with the protection of some classic, yet threatened, Colorado landscapes. 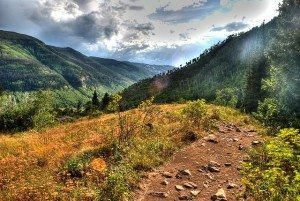 We are now proud to announce a new partnership with TWS for 2015: the protection of several key areas of Summit and Eagle County – deep in the heart of Colorado’s Central Mountains. 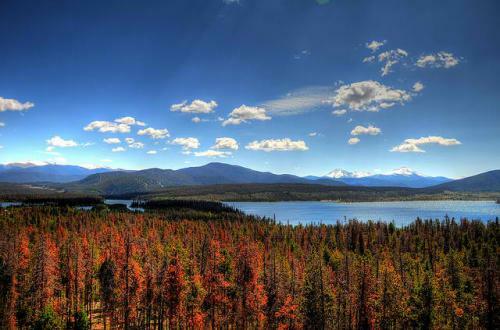 Among the most recognizable landscapes in the state, Colorado’s Central Mountains encompass many of our most cherished mountains, forests and valleys. Iconic landscapes like the Holy Cross and Eagles Nest Wilderness Areas lie at the heart of the region, but most of the surrounding public lands remain unprotected and at risk. It’s time to secure new areas of wilderness for the next generation. Serving as an outdoor “playground” for the Front Range, these amazing and wild Colorado landscapes sustain recreation resources, protect critical watersheds, preserve important wildlife corridors, and strengthen the region’s tourism economy. Our effort is supported by the John Denver Aspenglow Fund, the Pew Charitable Trusts, Conservation Colorado, the International Mountain Bicycling Association, the Outdoor Industry Association, the Conservation Alliance, the Vet Voice Foundation and many others. In 2014, Congressman Jared Polis introduced the Rocky Mountain Recreation and Wilderness Preservation Act to protect 60,000 acres of Colorado wilderness lands in Summit County and eastern Eagle County. 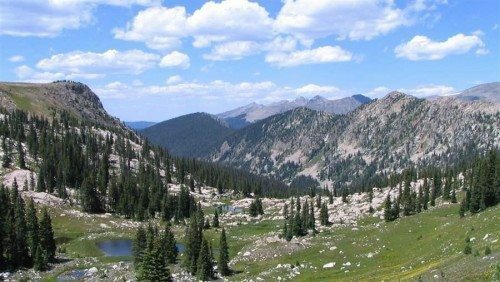 The proposal would create new wilderness areas in the Williams Fork Mountains, Tenmile Range, and Hoosier Ridge, and would expand the existing Holy Cross, Eagles Nest, and Ptarmigan Peak Wilderness Areas. The plan would also enhance outdoor recreation opportunities such as fishing, hunting, mountain biking and backcountry snow sports. – Hoosier Ridge Wilderness in Summit County (in the White River National Forest). – Williams Fork Wilderness in Summit County (in the White River National Forest. Additional Protection for Tenmile Recreation Management Area, White River National Forest. A new recreation management area would be established in the White River National Forest called the Tenmile Recreation Management Area to promote and enhance the thriving recreation economy. The purpose of the Tenmile Recreation Management Area would be to conserve, protect and enhance the recreational, scenic, watershed, habitat and ecological resources of the area for the benefit and enjoyment of present and future generations. The Tenmile Recreation Management Area will encourage visitors from around the world to come to the area to enjoy world-class recreation opportunities like mountain biking, hiking, horseback riding, snowshoeing, climbing, skiing, camping and hunting. Although current legal motorized access roads and vehicle uses would be maintained, new roads and new motorized uses would be prohibited, as would mineral extraction and commercial timber sales. Additional Protection for Porcupine Gulch Protection Area, White River National Forest. Another new recreation management area would be established in the White River National Forest. The Porcupine Gulch Protection Area would conserve, protect and enhance the scenic and roadless watershed and ecological resources in the area. The proposed area must be preserved for present and future generations because it is roadless and provides for activities such as hiking, fishing, horseback riding, snowshoeing, climbing, skiing, camping and hunting. Similar to the Tenmile Recreation Management Area, current legal motorized access roads and vehicle uses would be maintained, but new roads and new motorized uses would be prohibited, as would mineral extraction and commercial timber sales. Please support efforts to ensure the future of Colorado’s Central Mountains. To help make Colorado’s Central Mountains Matter please visit www.RockTheEarth.org where you can get the latest information on these efforts. In addition, please contact Senator Bennet and Congressman Polis and let them know you support their efforts to protect the Central Mountains.